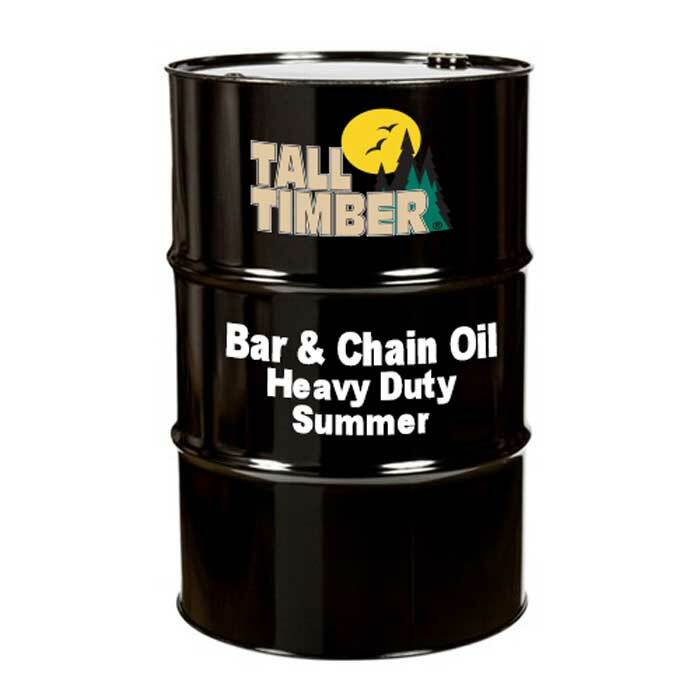 TALL TIMBER Premium Heavy Duty Summer Bar and Chain Oil optimizes your saw’s cutting performance by reducing heat and friction. It is a premium blend of base stocks and extra tackifier additives which reduces high speed throw-off. Formulated using high viscosity base stocks enhanced with anti-wear and extreme-pressure additives for improved guide bar, chain and sprocket wear performance. Reduced rusting of oil wetted surfaces due to a specialized corrosion inhibitor. Contains an enhanced tackifier designed to reduce oil consumption due to a lessening of oil throw-off during cutting. Performance proven by professional chain saw operators.